These strawberries are really sweet and juicy. They can be a good part of a lunch. I want strawberries more often! Students in a school or district with Maschio’s Food Service are learning what is good for their bodies and brains when they come through the lunch line. Introducing and encouraging healthier meal and snack choices to students and educating them about nutrition is a hallmark of Maschio’s! Maschio’s believes the school cafeteria should not only be a place where students receive wholesome, nutritious foods, but a place where they find positive messages about nutrition too! Maschio’s works with school administrators and other school professionals to incorporate and promote wellness as part of our overall food service program. We encourage and present nutrition awareness activities, which can be coordinated with classroom lessons, whenever possible. 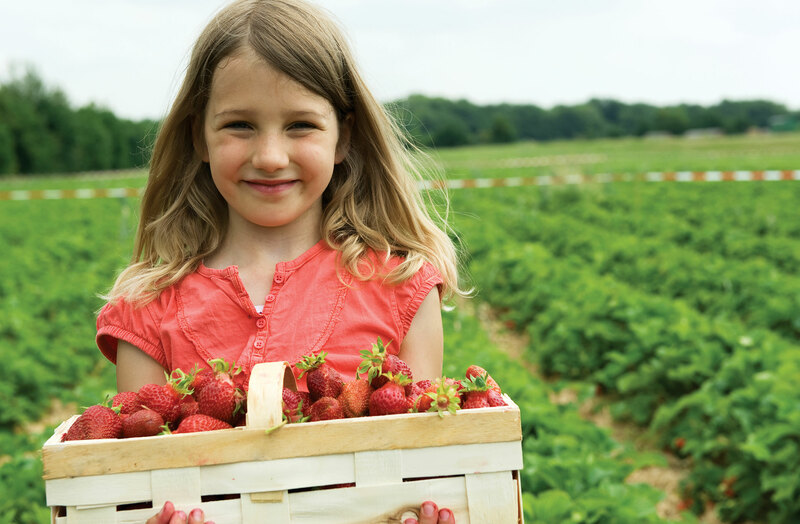 Maschio’s is at the forefront of promoting fresh, local foods as on-going, regularly offered menu items in our schools, through its Farm to School Program and participation in the BUY FRESH, BUY LOCAL Chapter of Northwest Jersey. These programs supply school districts with locally grown foods from area farms ], which practice sustainable agricultural techniques in order to preserve and enhance the local ecosystem. Farm fresh, seasonal foods are incorporated into the school lunch menu when available – and advertised – so students may take advantage of their availability. We train food preparation staff to capitalize on the fresh vegetables and fruits available in-season, often from neighboring farms, by utilizing proper freezing techniques as well as delicious, nutritious recipe development. We work with The BUY FRESH, BUY LOCAL chapter to educate students about the difference in using resh produce. The goal is to educate them about growing food on a sustainable, local scale, so they can identify with farms located in their neighborhoods. The BUY FRESH, BUY LOCAL logos and labels are on school menus and on the cafeteria serving lines.